The Sims Freeplay- House Design Competition Winners! When will you udpdate this version of the map? Next weekend, it’s not really my top priority at the moment, sorry. I noticed that your swim center is built now is there anyway tut could buy a pool and an inflatable dolphin or whale please please please!!? I now have a small pool at the hobby house, which is the 1st one in the second row. I would like to see them get money when a customer has finished their meal though. I can’t get my sim to go to the mall . I have the mall quest challenge but I just can’t figure out how to get the sim actually in there . 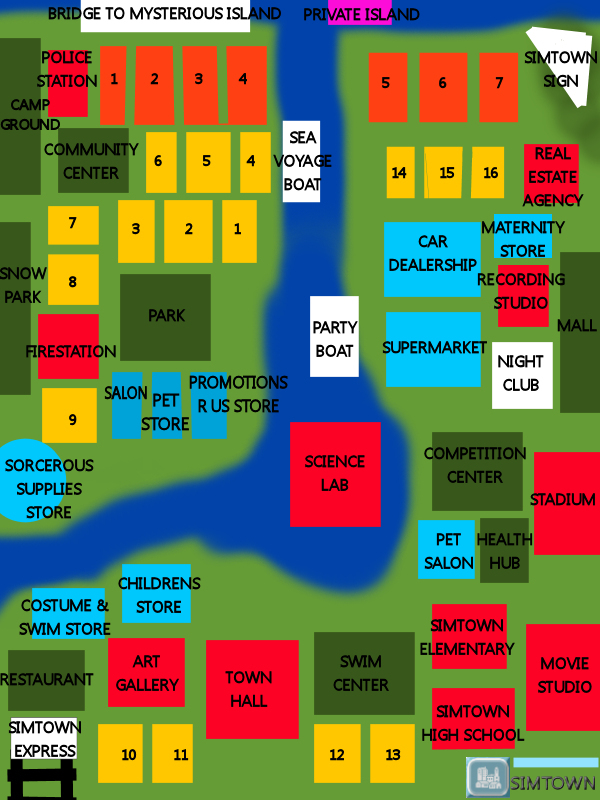 I’ll go to town map & go to the mall . Then nothing . Idk what to do , help ? you need to use the simtracker to bring a sim there.